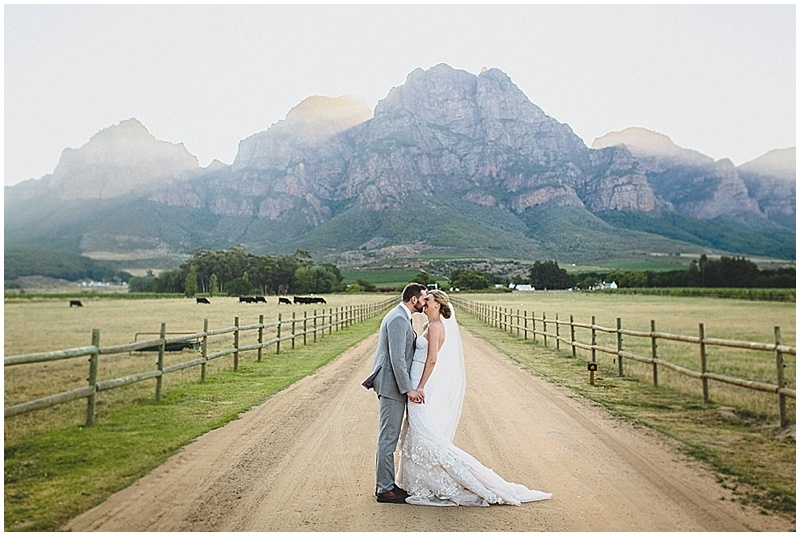 This month marks an exciting milestone in the Wedding Concepts’ journey, as we unveil The Collective, our brand-new portfolio of exclusive South African wedding venues. 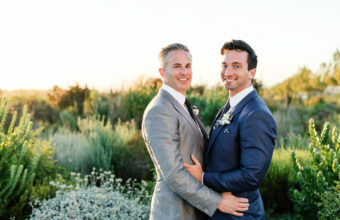 Leveraging our global destination wedding reputation and personal contacts around the world, we will represent and showcase this exclusive venue portfolio to the very elite of the world’s destination wedding planning community. 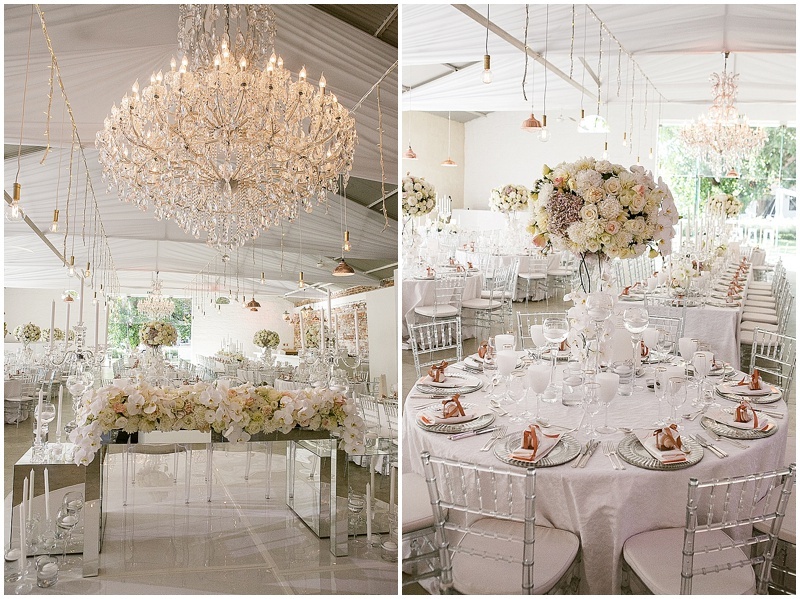 Each of The Collective properties has been personally selected and endorsed by the Wedding Concepts team for their breath-taking settings combined with outstanding service, style and sophistication. 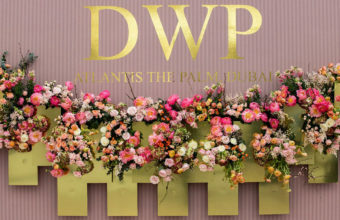 The Collective’s introduction to the world’s stage will be at two of the industry’s most prestigious Destination Wedding events: Amour Europe in Vienna in February and the glamorous Destination Wedding Planners Congress in Dubai in March – where the Wedding Concepts’ team will be presenting the portfolio to the world’s top planners and wedding media. 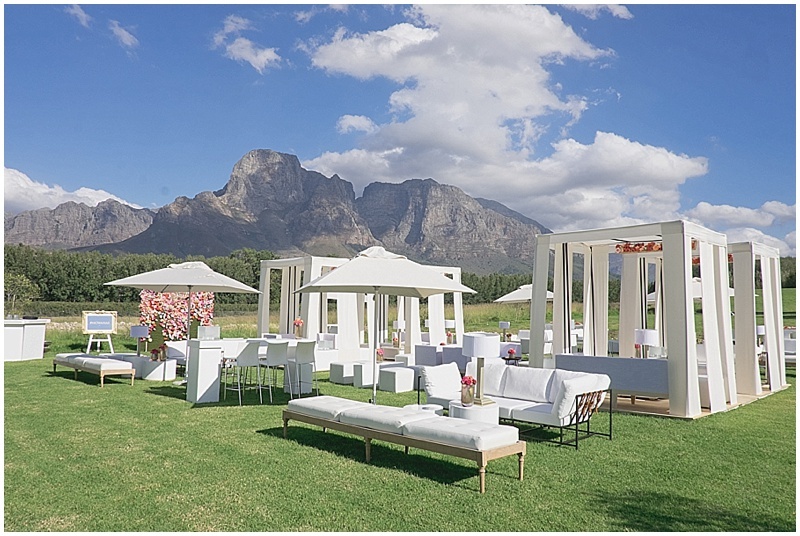 We welcome each of our exclusive partner properties to The Collective – and are thrilled to share with you an introduction to each of these stunning boutique locations, along with our personal insights on what makes each of them special and market leaders. 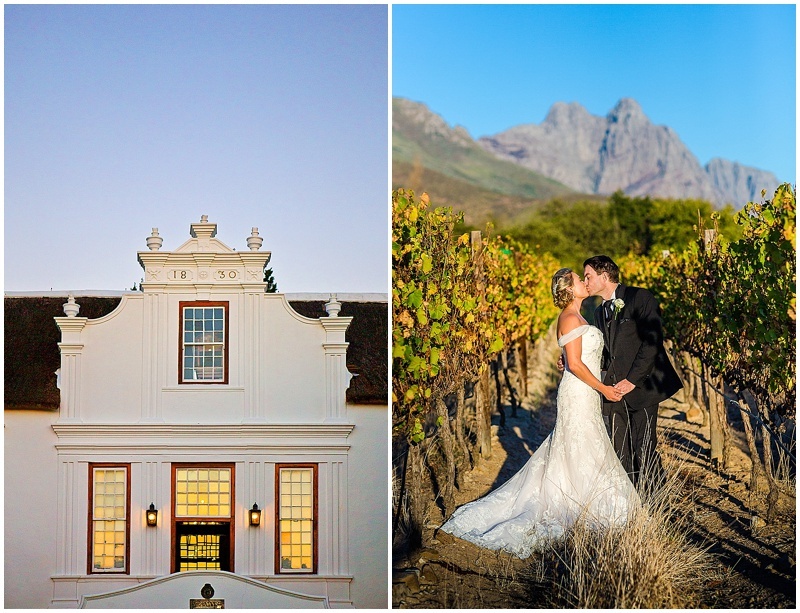 A stylish, scenic and sophisticated wine estate, historic Boschendal is also a working farm and one of our favourite places to create memorable romantic celebrations events. 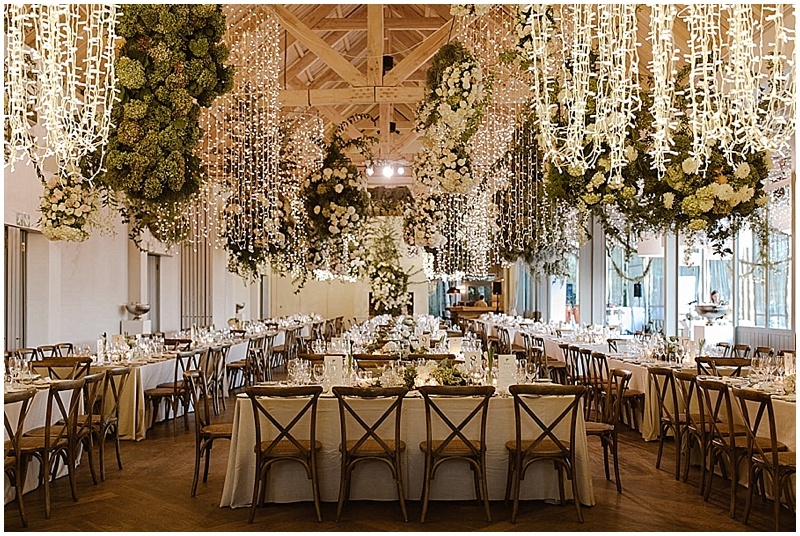 A number of unique event spaces exist on the sprawling estate, the highlight being the flexible Olive Press, a modern barn-like venue that exudes country elegance and sophisticated modernity and seats 200 guests. 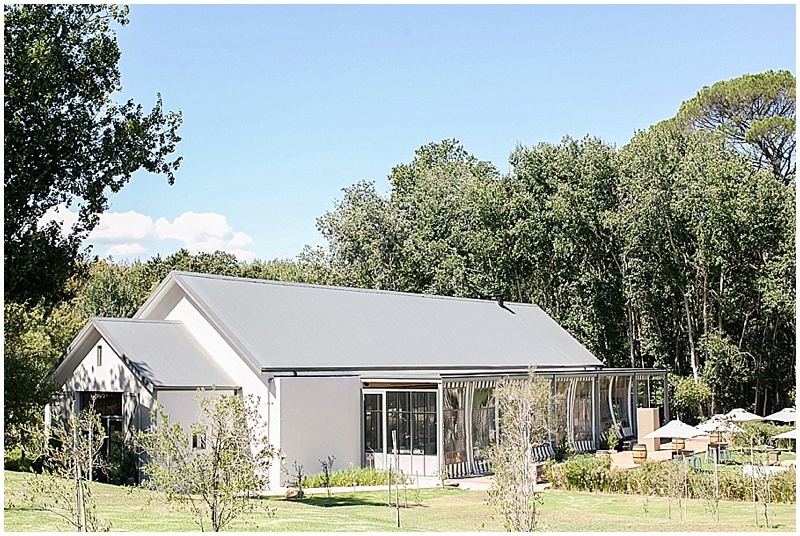 With its exposed natural poplar roof trusses and floor to ceiling glass doors, the Olive Press opens out onto expansive, manicured lawns and stunning views over meadow gardens and the breath-taking Groot Drakenstein mountain range. 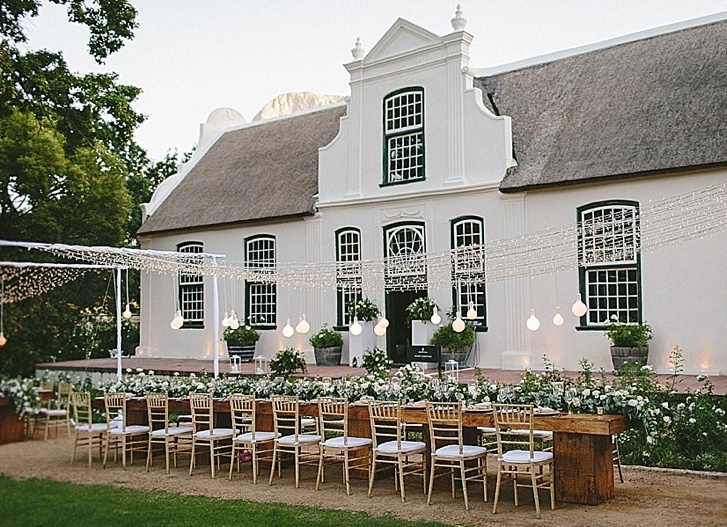 For smaller groups, the historic Rhone Homestead provides a more intimate location, set amongst 300-year-old oak trees and the unique Cape Dutch architecture of the Homestead as a backdrop. 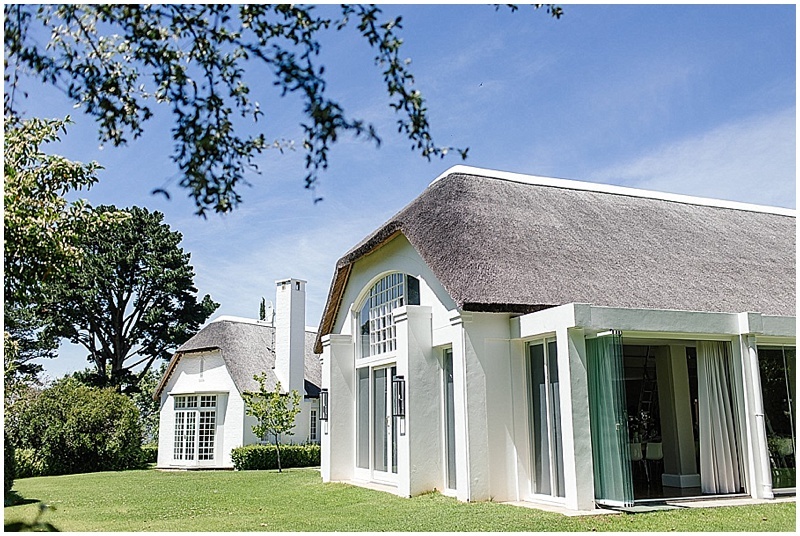 Accommodation for up to 200 guests is located across the estate in various 4 and 5 star cottages and award-winning wines and ‘farm-to-table’ restaurants are part and parcel of the estate’s signature. 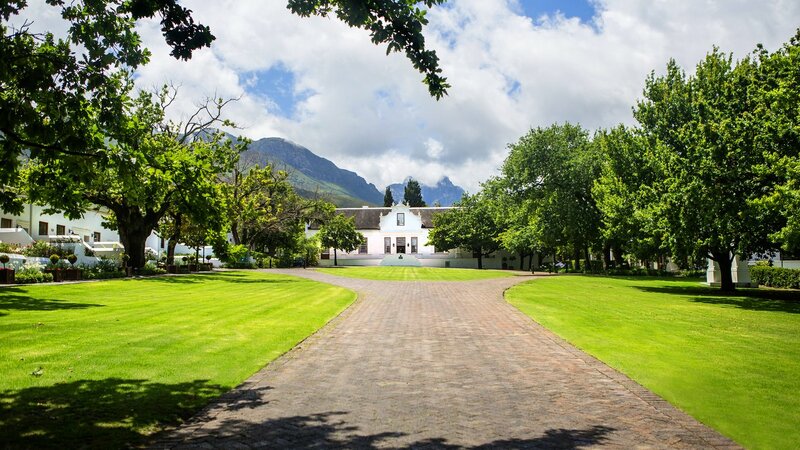 Our Personal Insight: Boschendal is an authentic, stylish and flexible estate in its own right with the famous winelands towns of Stellenbosch and Franschhoek just a few minutes away. 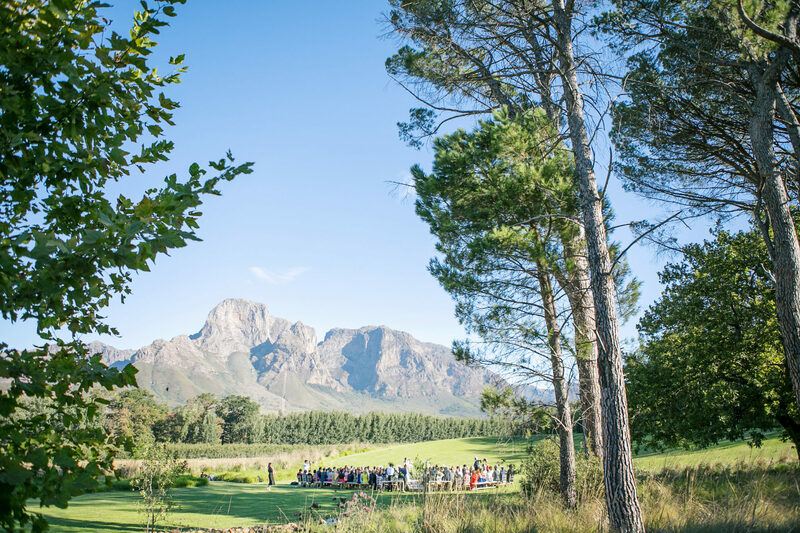 Not only does it provide for stunning romantic occasions, but has a range of guest experiences with country chic on-site accommodation and dining, plus a range of activities including mountain biking, horse riding, fishing, trail runs, wine tasting, vineyard tours and picnics – it’s the perfect experiential destination. 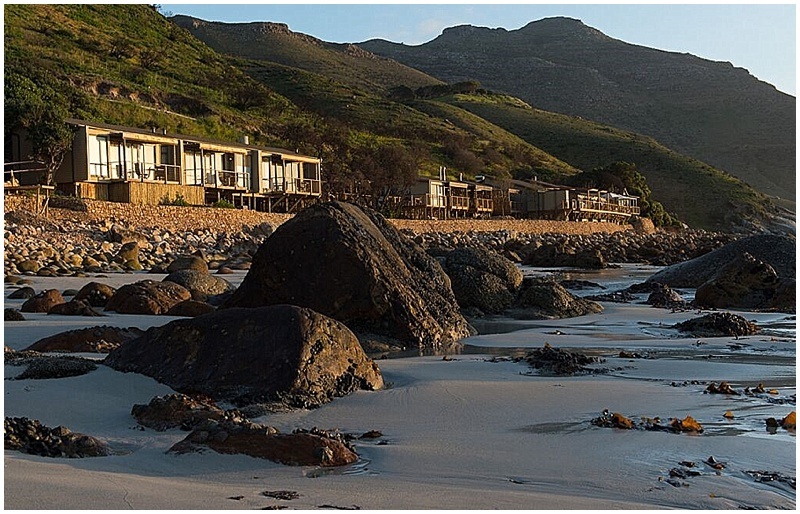 Tintswalo Atlantic is a magnificent 12-bedroomed lodge, situated in one of the most spectacular locations in Southern Africa – lodged between the looming Chapman’s Peak mountainside and the Atlantic Ocean just 20 minutes from Cape Town. 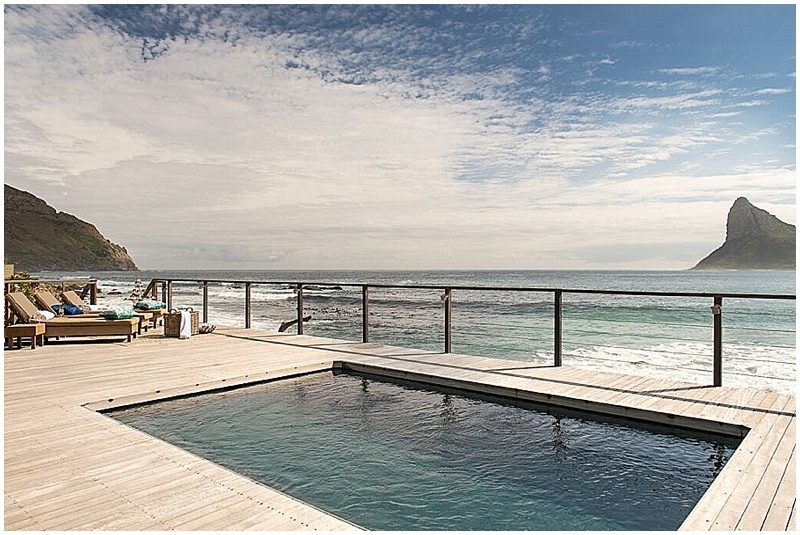 Stylish yet understated, Tintswalo Atlantic offers a luxurious, secluded seaside home away from home, with all its comforts, discreet service and culinary creations set against a dramatic backdrop. 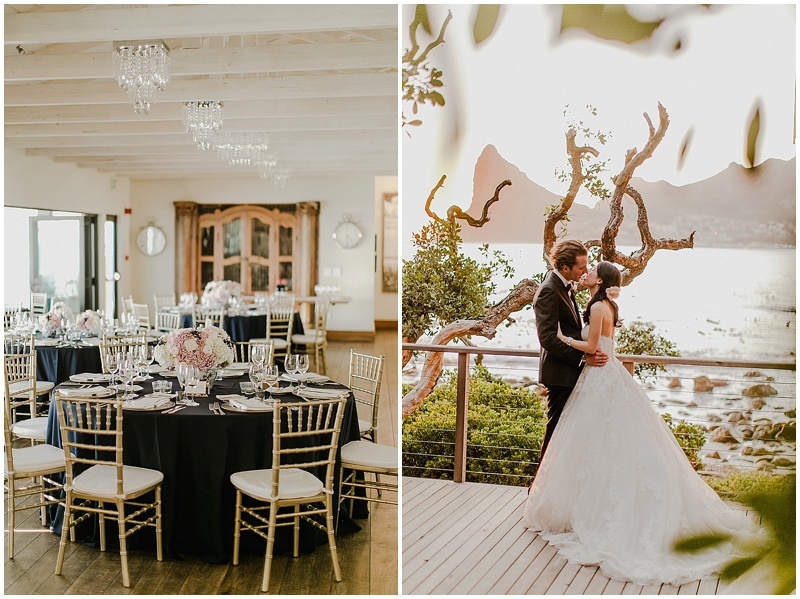 For bridal couples seeking the utmost in privacy and exclusivity, Tintswalo Atlantic is the ultimate retreat for intimate celebrations of up to 100 guests. 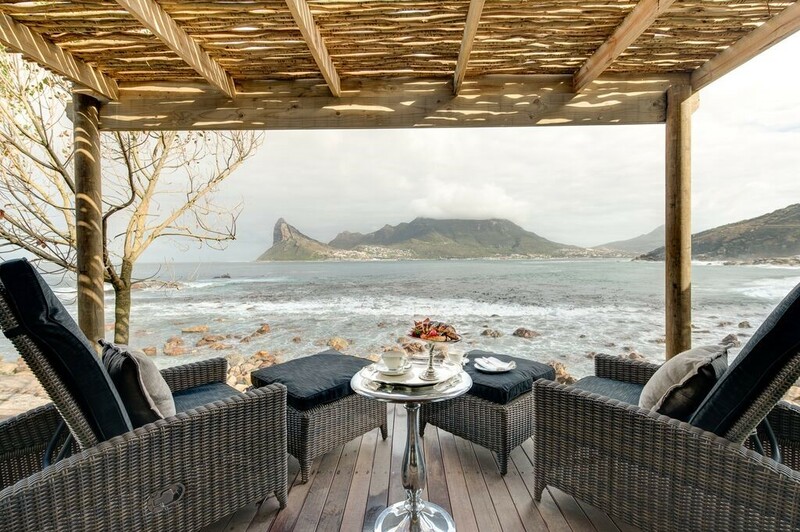 The food and beverage teams conjure up creative menus that only serve to enhance the overall experience and theocean views with sunset cocktails on the wooden deck are simply unrivalled. 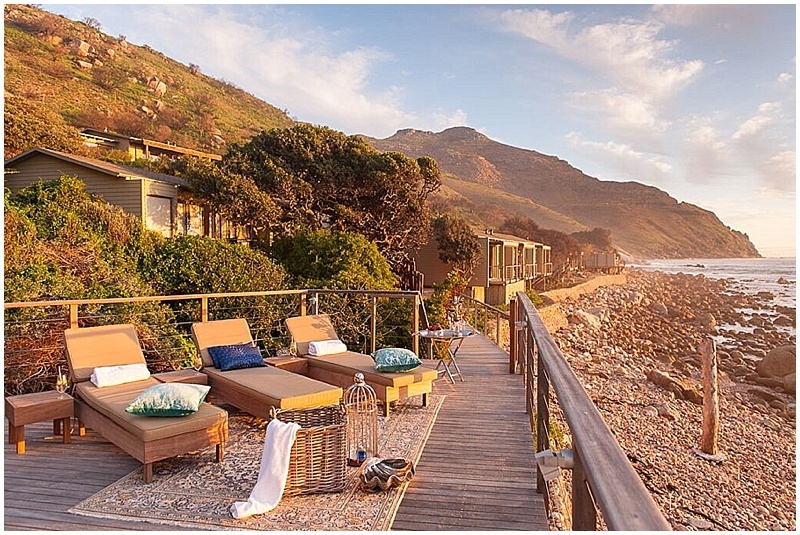 Our Personal Insight: Secluded and spectacular Tintswalo Atlantic is part of the wider Tintswalo Group which has two safari lodges upcountry and a new 9-suite villa at Boulders Beach famous for its penguin colony south of Cape Town. 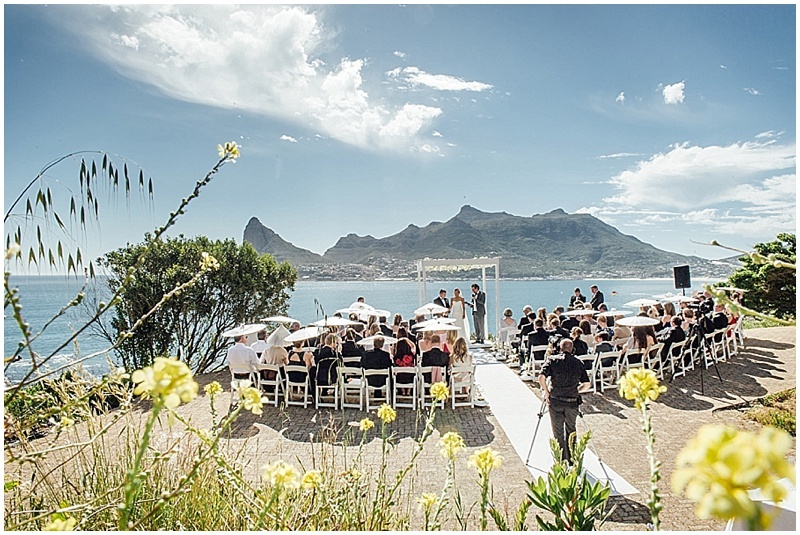 Perfect for a wedding-honeymoon combination. 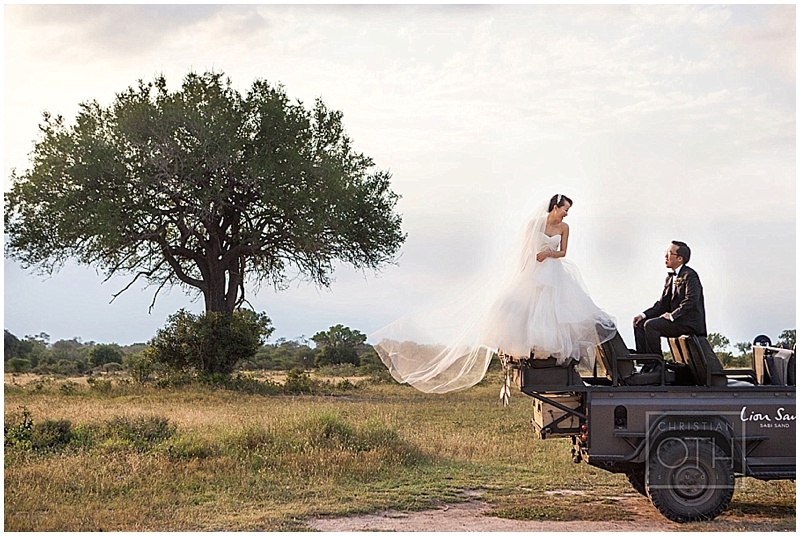 Epic African scenery and sunsets, wildlife and wide-open planes; is there a better place for a destination wedding than the African bush? 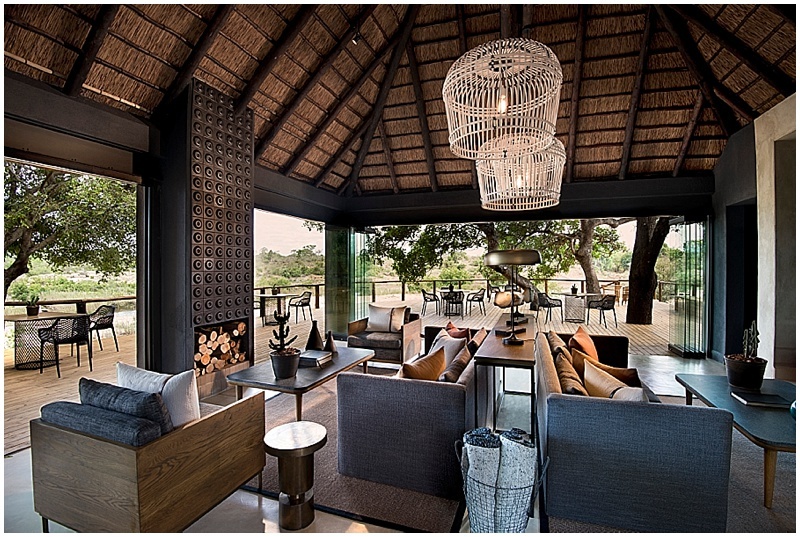 Based in the heart of the world famous Kruger National Park and with the Big Five literally on your doorstep, Lion Sands is an exclusive game reserve consisting of six luxury lodges and villas, interlinked along the banks of the Sand River. 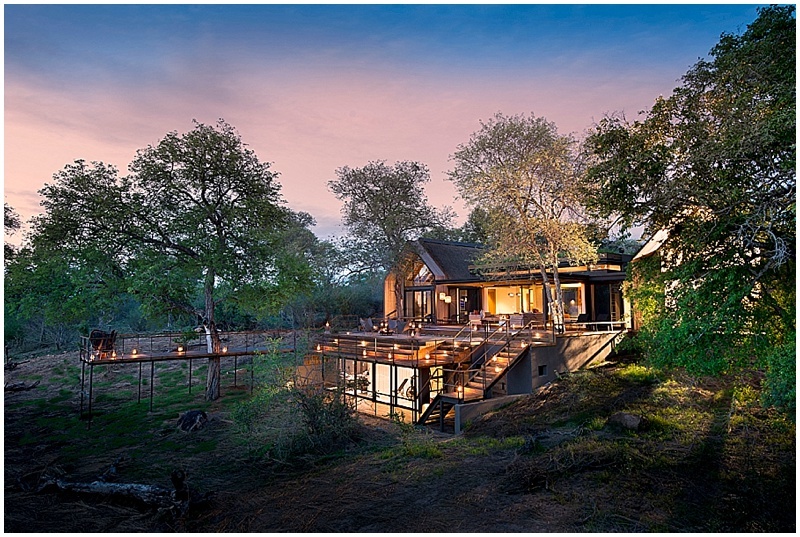 We think it’s the ultimate in safari luxury and romance, with a total of 46 rooms and suites across the six luxe properties and great interconnecting spaces for bush dinners, guest activities and of course the main highlight of daily game drives. Close encounters with wildlife and the Big Five are the norm and the Sabi Sands area is one of the very best places to spot the elusive leopard. 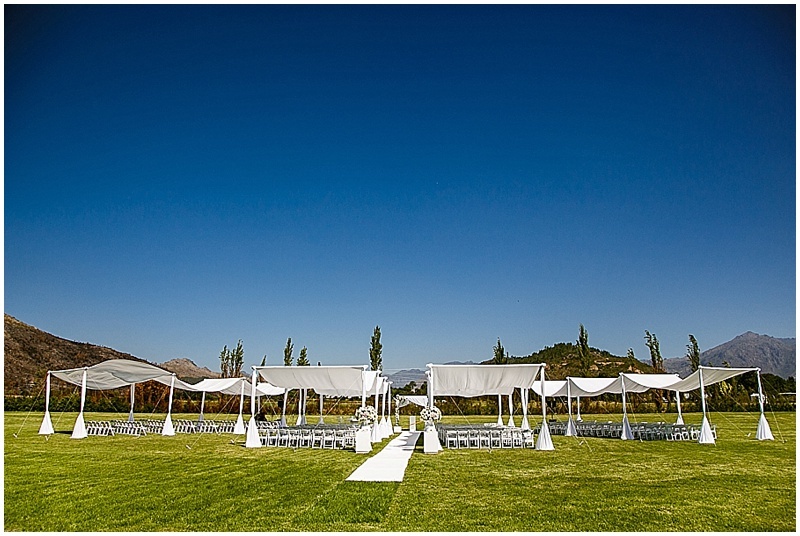 It’s also a flexible destination, as bridal couples can choose their lodge or combine them, depending on the size of their celebration. 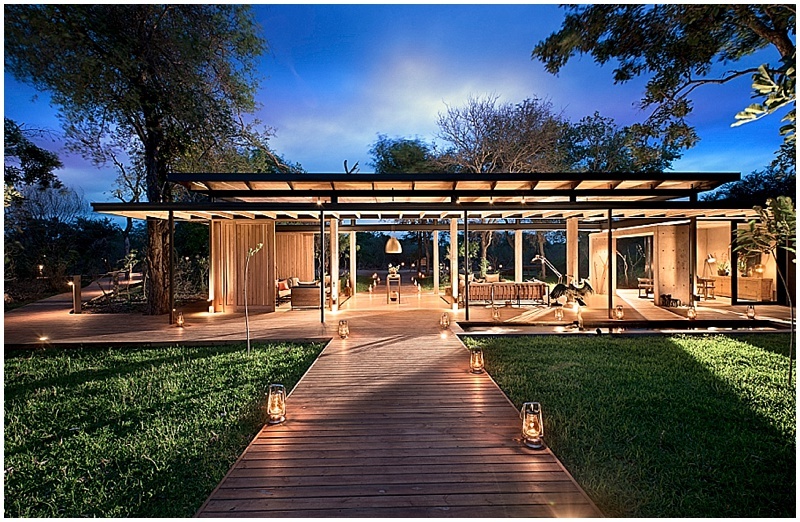 Our Personal Insight: A romantic experience unique to Lion Sands is a night under the stars in one of their luxury Treehouses – the ultimate in bush bedroom honeymoons! 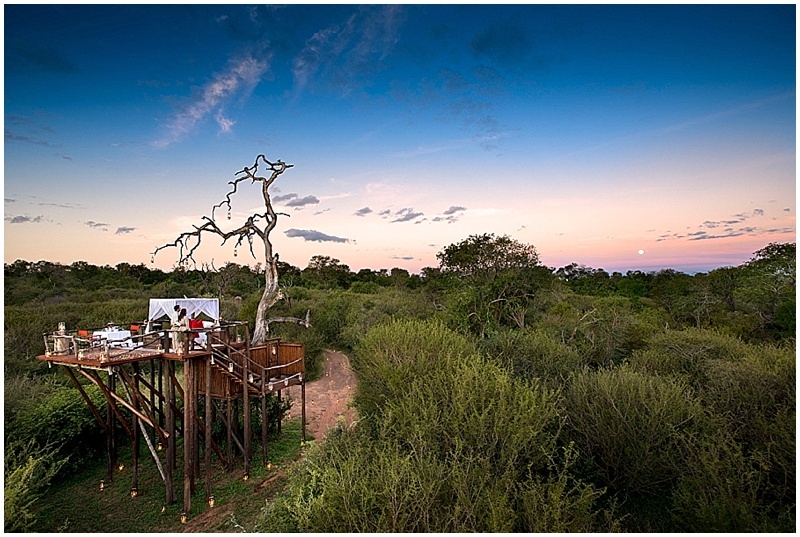 Couples are able to spend the hours of dusk fully appreciating the vastness of the bushveld as it transforms from day to night, sleeping directly beneath the Milky Way and shooting stars! 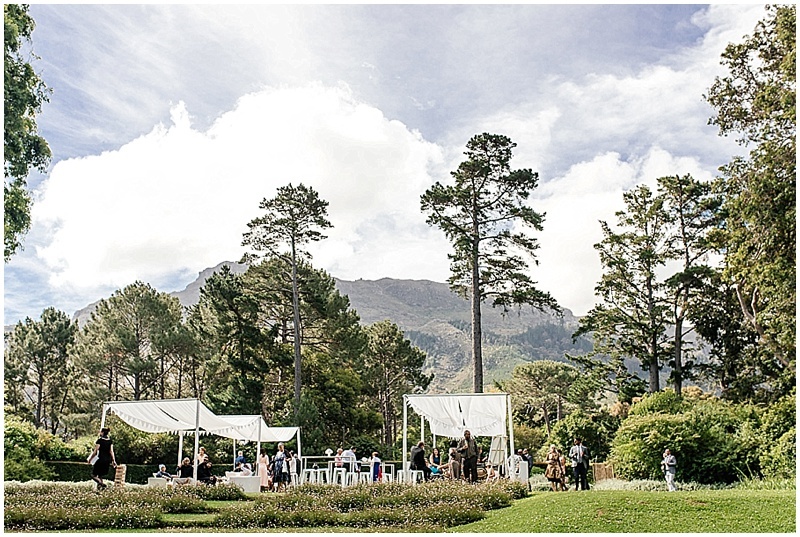 This iconic former Dutch embassy landmark set in the leafy Constantia wine valley just 20 minutes from Cape Town is a unique location, a hidden gem space just perfect for discerning and distinctive celebrations. 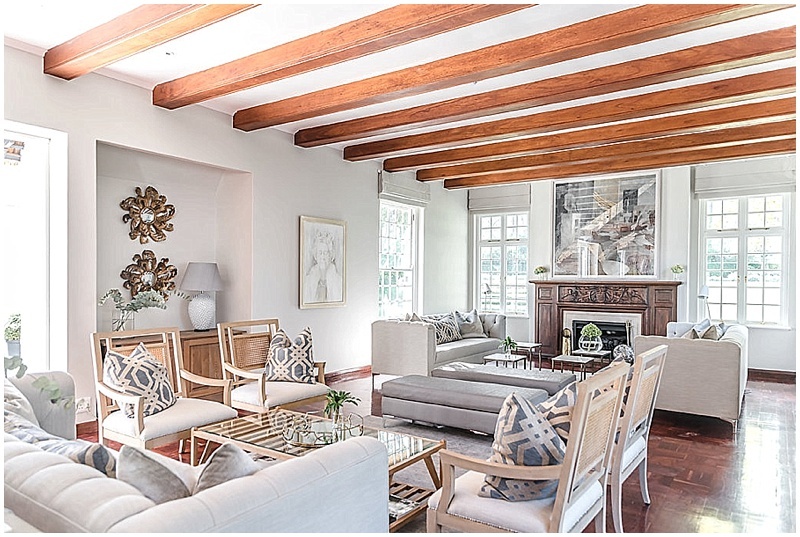 Beautifully refurbished to harmoniously blend historic architecture with carefully selected interior design, the property offers a premium and relaxed romantic experience, set in manicured gardens with views of the mountains behind and the ocean in the distance out front. 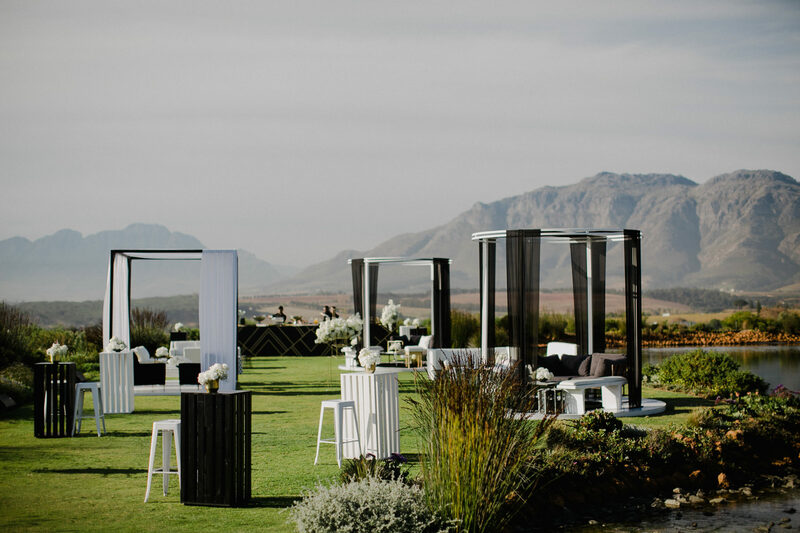 With a stylish and spacious feel, the venue can host up to 180 guests for dining, combined with great outside areas for pre-dinner cocktails or wine tasting from the nine local wine estates in the surrounding scenic valley. 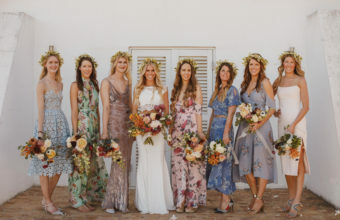 The five individually styled rooms in the house can accommodate members of the bridal party and within a few minutes’ drive there are a number of boutique hotels for wedding guests. 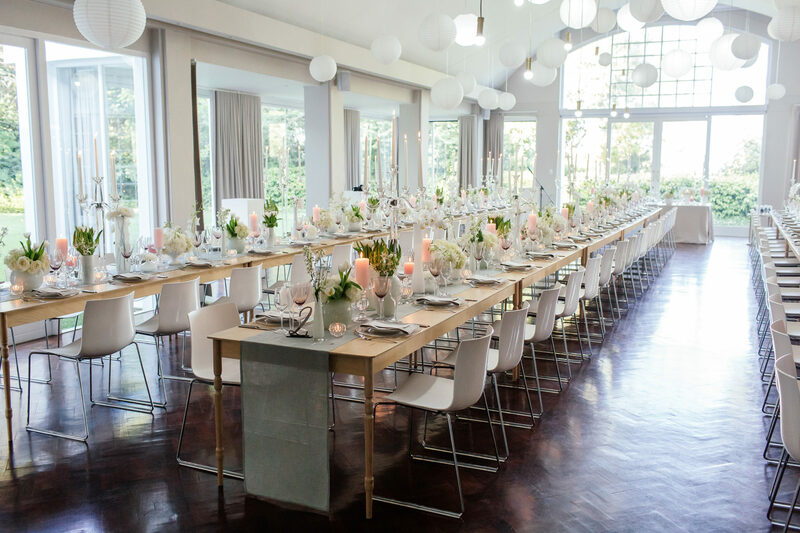 Our Personal Insight: Built upon the three core pillars of innovative style, fine food and captivating art, Embassy Hill is a great visual and experiential venue and offers the perfect – and very stylish – frame for the ultimate destination wedding. 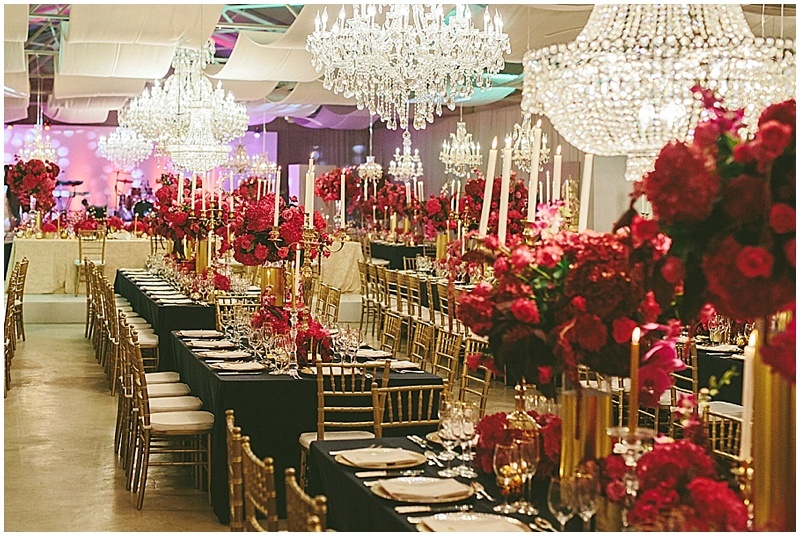 Steeped in history, La Paris dates back to 1699 and is a family-owned estate. 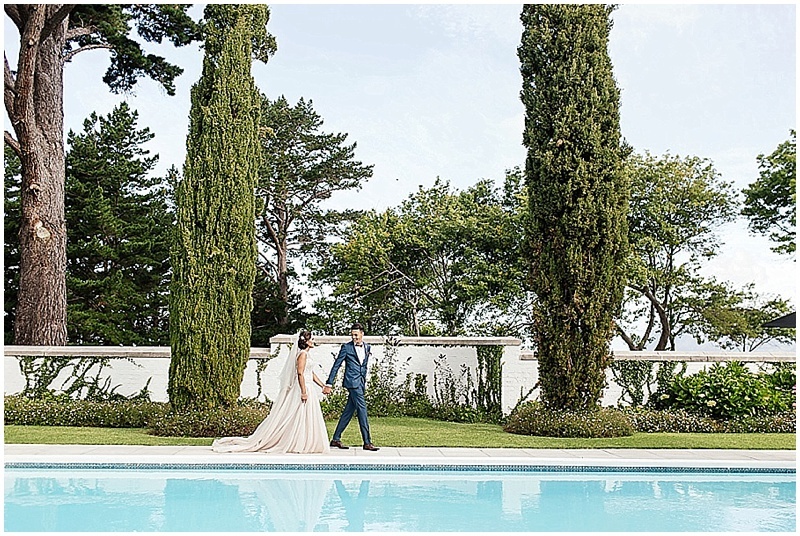 Located just 8 km outside the famous town of Franschhoek – the food and wine capital of South Africa – La Paris has become known as a boutique-style hidden gem. 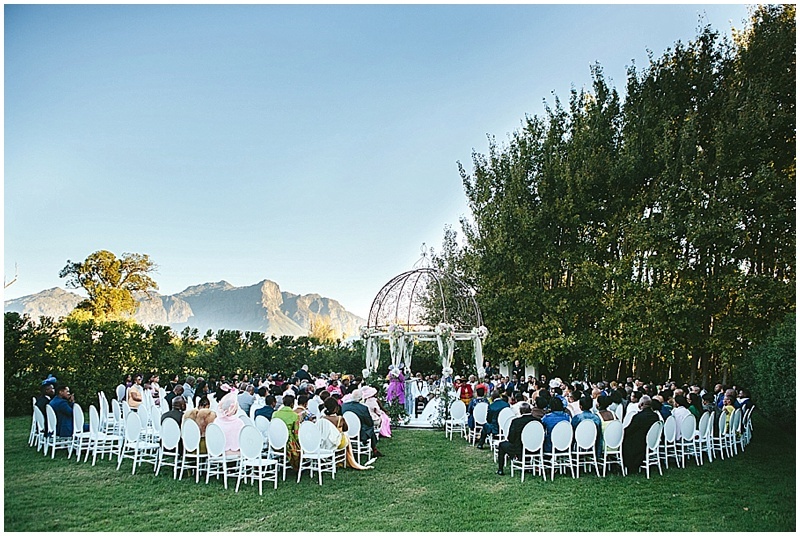 The grounds at La Paris offer a contrast of spaces for any size of celebration – from the lush and intimate settings of the Rose Garden and the Arbour, to the large blank canvas spaces of the mountain view lawns and the mighty Lyceum Venue. 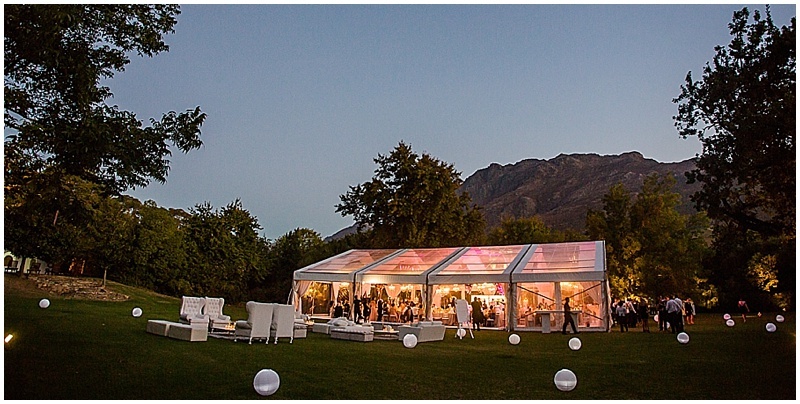 Considered one of top venues in the Winelands, La Paris is an estate that allows for maximum personalisation across multiple spaces with a slightly more modern country feel. 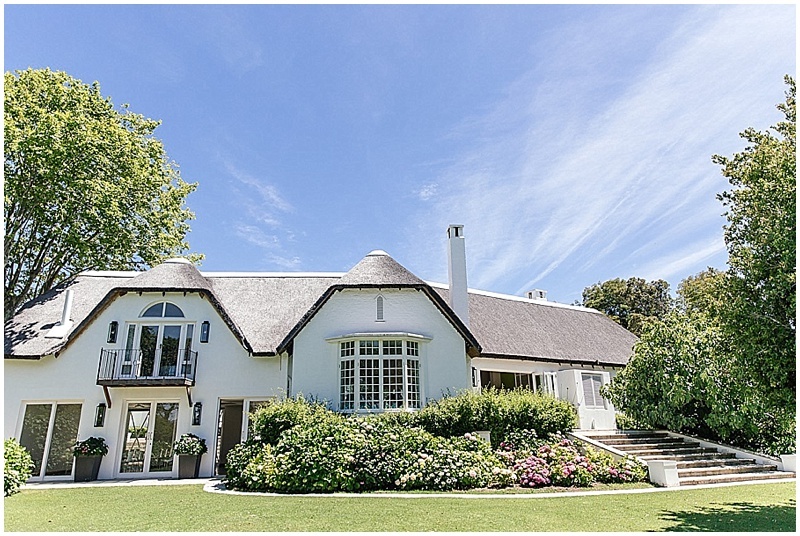 The Manor House has been recently renovated into beautiful boutique accommodation and The Garden Room boasts wooden floors with large glass doors that open on to a black and white chequered veranda and large lush lawns surrounded by tall hedges. La Paris has become a full package destination over the past year with its brand new Bistro Restaurant and Deli, and now with the promise of a new 5 star boutique hotel opening in the summer of 2019. 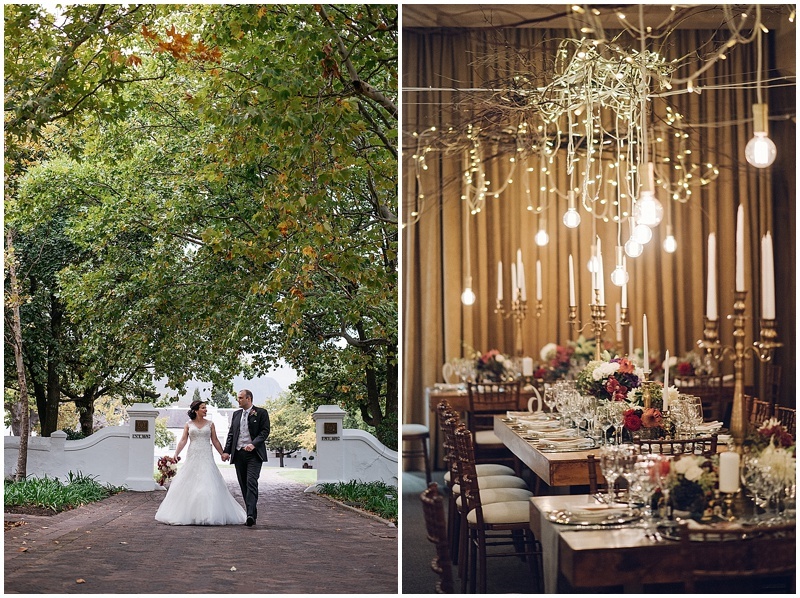 Our Personal Insight: In this most stylish of grand venues, up to 300 guests can enjoy the exquisite garden setting framed by old oak trees and including a magical forest pathway – and three of the largest crystal chandeliers in the winelands! 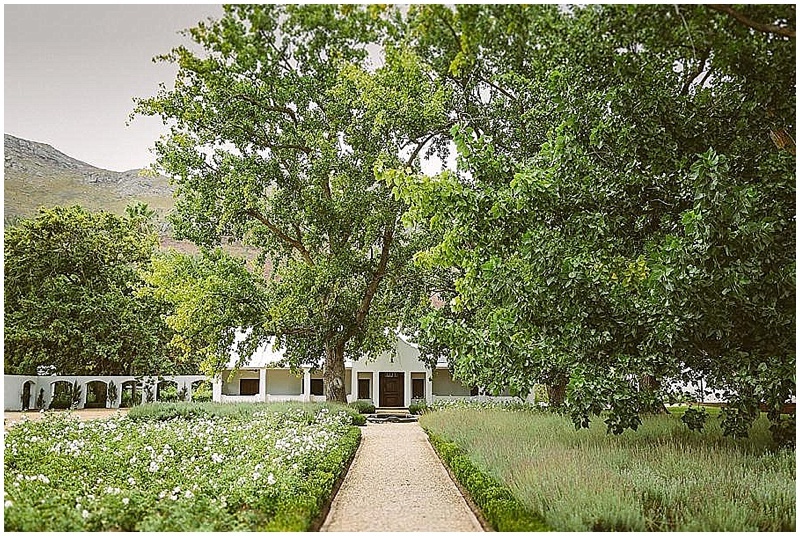 Dating back to 1692, The Lanzerac’s history and legacy as one of the most famous Stellenbosch landmarks is evident from the moment you enter the estate, with the historic Manor House coming into view along a driveway lined with stately oak trees. 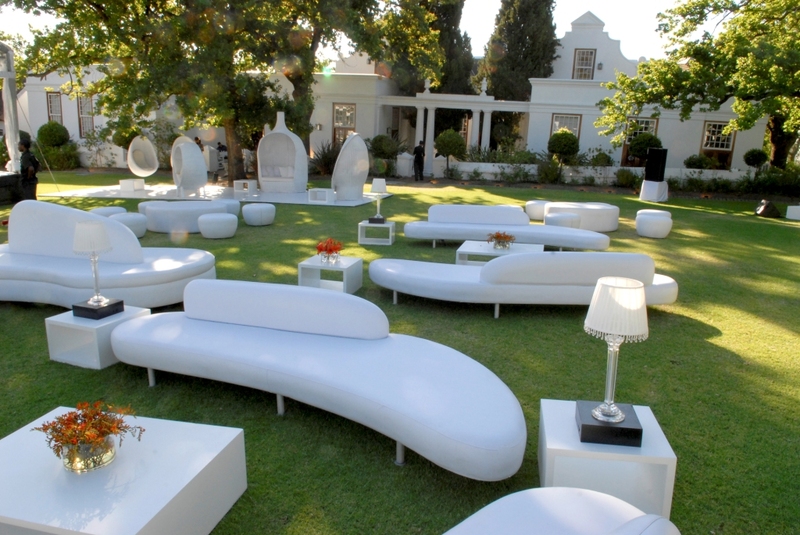 Boasting old world charm, expertly refreshed by recent state-of-the-art renovations, this 5 star boutique winelands hotel not only offers exceptional hospitality and accommodation, but beautifully-appointed spaces – both indoor and outdoor – that can play host to a multitude of romantic celebrations. 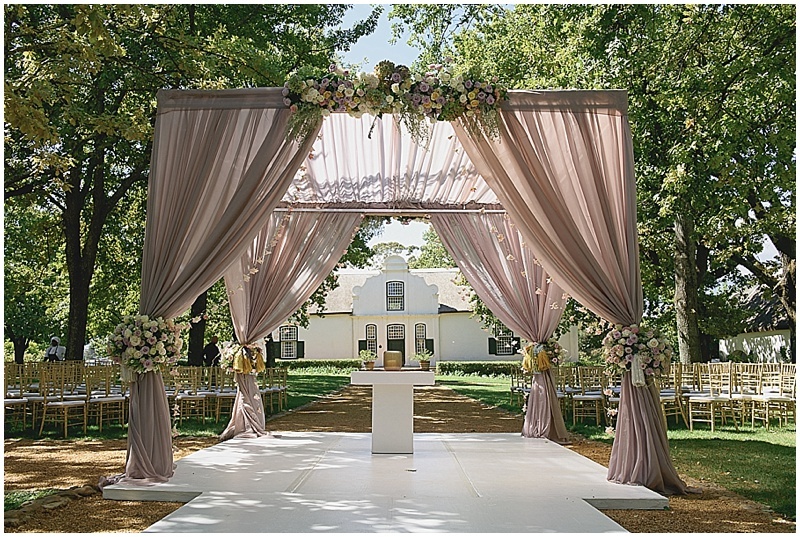 All outdoor celebrations are conducted against the scenic backdrop of the Manor House, whilst Lanzerac’s newly refurbished indoor Cellar Hall venue offers the reception capacity of up to 150 guests, and the spacious lawns with mountain views are large enough to host marquee events of up to 250 guests. 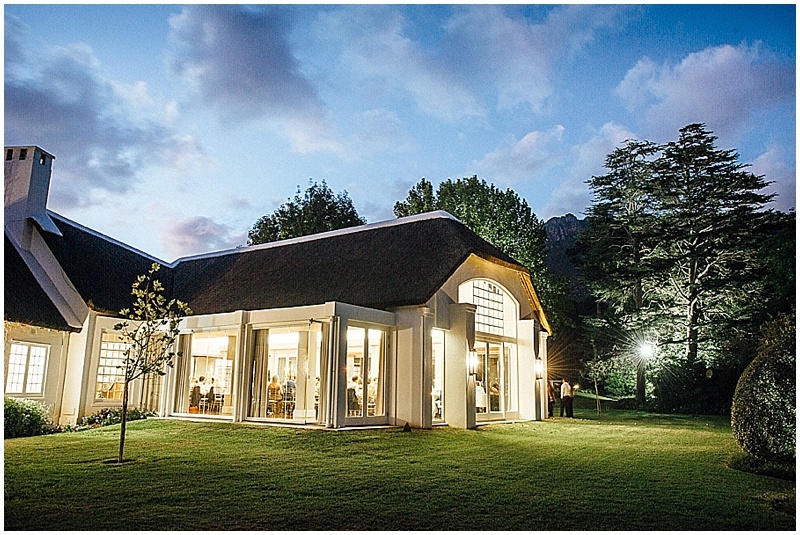 Our Personal Insight: The Lanzerac defines prestige and sophistication with its top-of-the-line facilities, including their recently renovated luxury spa. 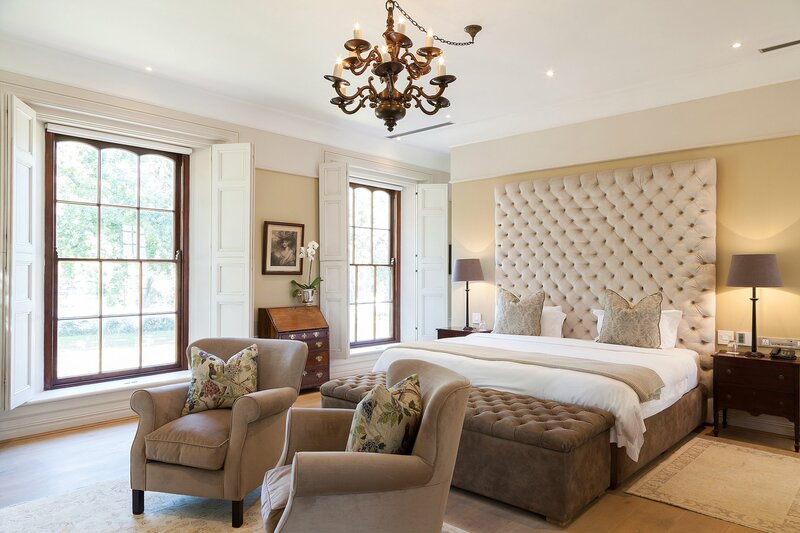 In a nutshell, when booking this exquisite 53 bed hotel exclusively, one is essentially booking their own private winelands estate! 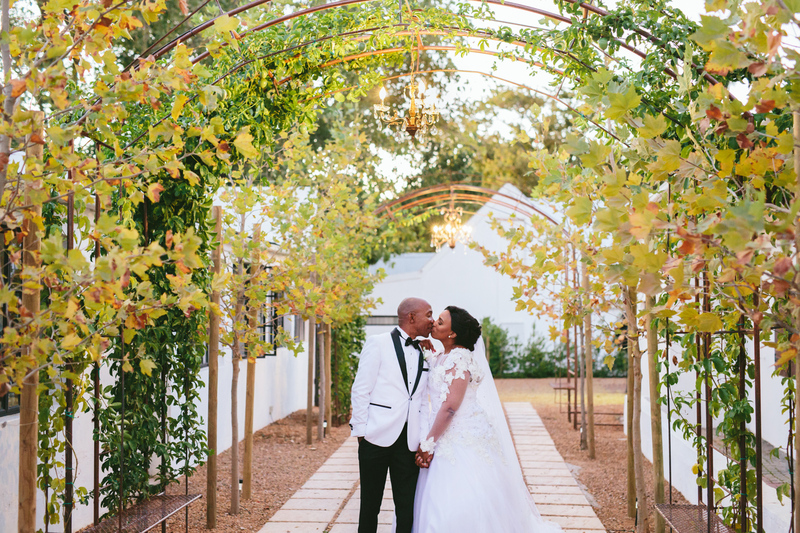 Along with its award-winning wines and acclaimed restaurants, the Lanzerac has established itself as one of the winelands top romantic destinations. 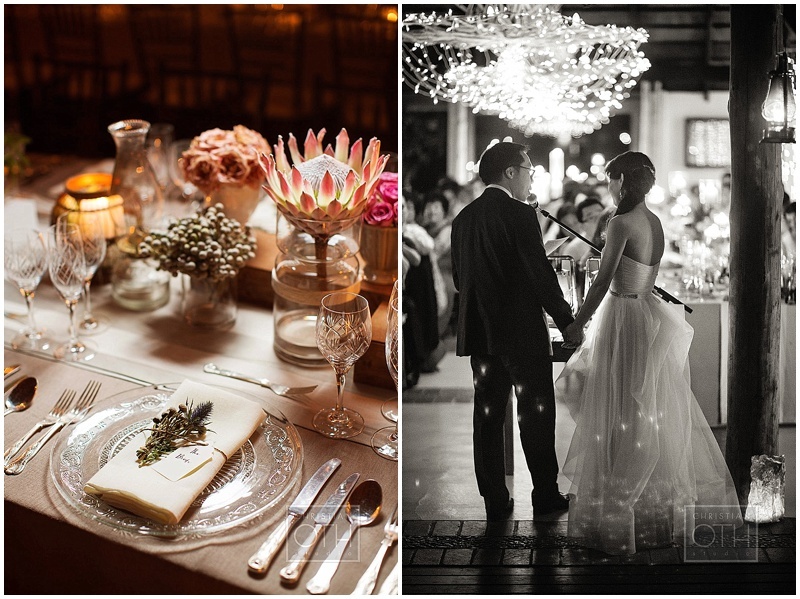 Images by Tyme Photography, Wesley Vorster, Christian Oth, Gavin Casey, Kikitography, Dear Heart Photography, Jean-Pierre Uys, Du Wayne Denton and John Armstrong.